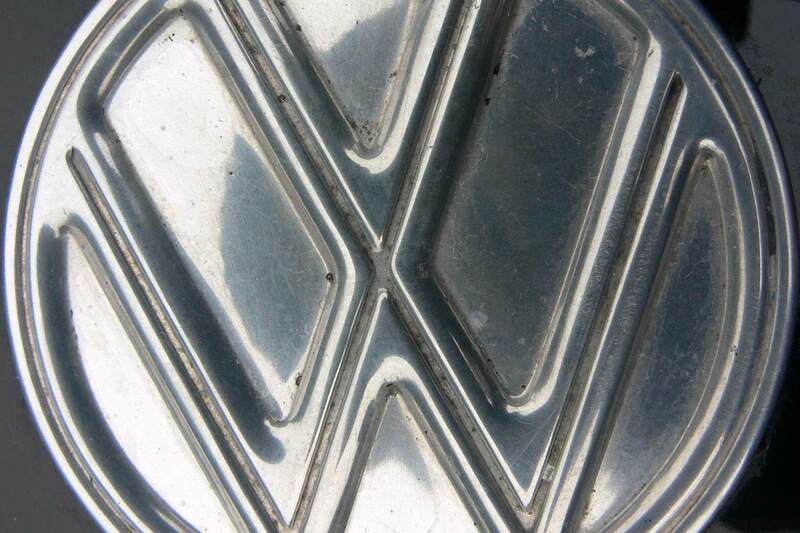 You may have heard – Volkswagen Group is currently in the doghouse thanks to the dieselgate emissions scandal, which saw share prices plummet and caused senior executives to walk out. Out of the 11 million VW Group cars worldwide believed to have been sold with the ‘defeat device’, 2.1 million of these were Audis. 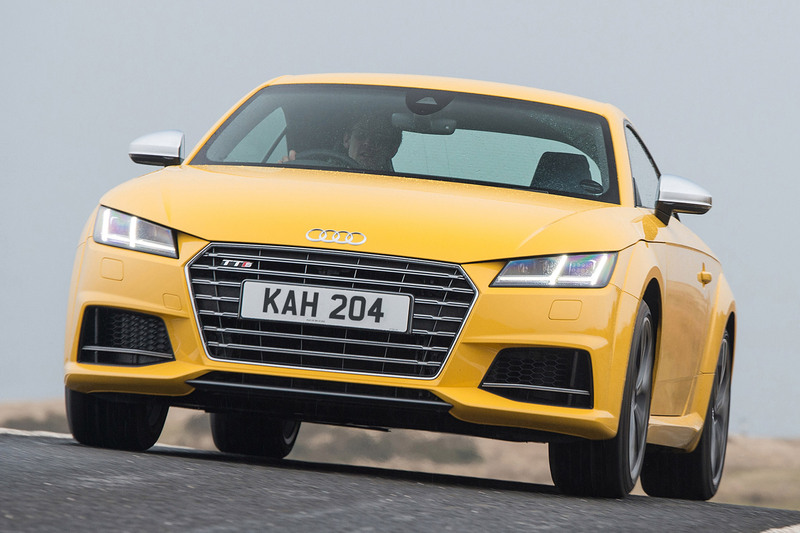 Confidence in Audi, as with all Volkswagen brands, will undoubtedly have taken a knock. As a firefighting measure, VW last month announced that it would be prioritising development of plug-in hybrid models – and the range-topping Phaeton would be an all-electric ‘halo’ car, showing off the manufacturer’s future technology. But what about Audi? How will Volkswagen Group’s premium marque move forward after taking a bit of a beating from dieselgate? 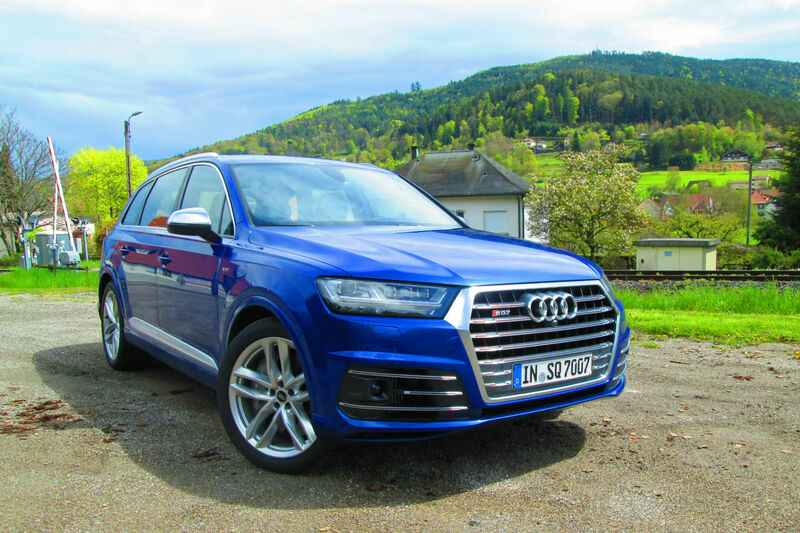 We visited one of its ‘future performance days’ to drive the new Audi Q7 e-tron and find out what exactly it’s doing to prove its eco-credentials in the future. Here are six key findings we discovered – will they be enough to save Audi’s reputation? There’s one stand-out feature that makes a particular electric or hybrid model more competitive than its rival: the battery. Manufacturers are constantly developing their batteries – making them smaller and more efficient. Audi has opened a competence centre for high-voltage battery technology at Gaimersheim, close to its main Ingolstadt plant. Here, Audi specialists are working on batteries for a wide range of future models. The company says that, without exception, its battery structure follows a uniform modular concept. 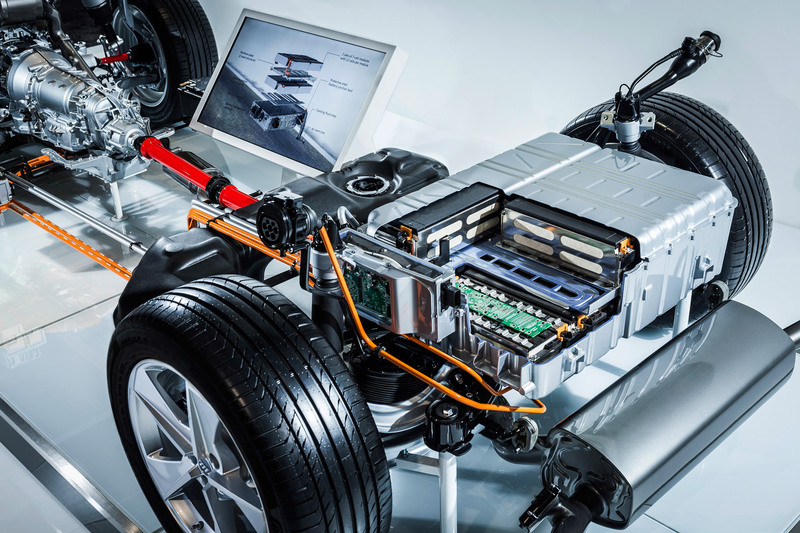 So, just as the majority of Volkswagen Group cars are based on the same modular platform, in the future they will all share the same batteries. Audi’s battery module, a cuboid aluminium housing slightly smaller than a shoe box, weighs just 13kg. It can accommodate different shapes and sizes of cells: including the round cells found in the R8 e-tron 2.0, prismatic cells (each about the size of a paperback book) or long, flat pouch cells. While round cells are capable of storing a high amount of energy, they’re not as versatile as prismatic or pouch cells. These are more adaptable to the way they’re configured – so, while round cells are more suitable for electric-only vehicles, prismatic and pouch cells can provide maximum energy (and a longer range) or maximum power, or a combination of both. This makes them ideal for plug-in hybrid vehicles. 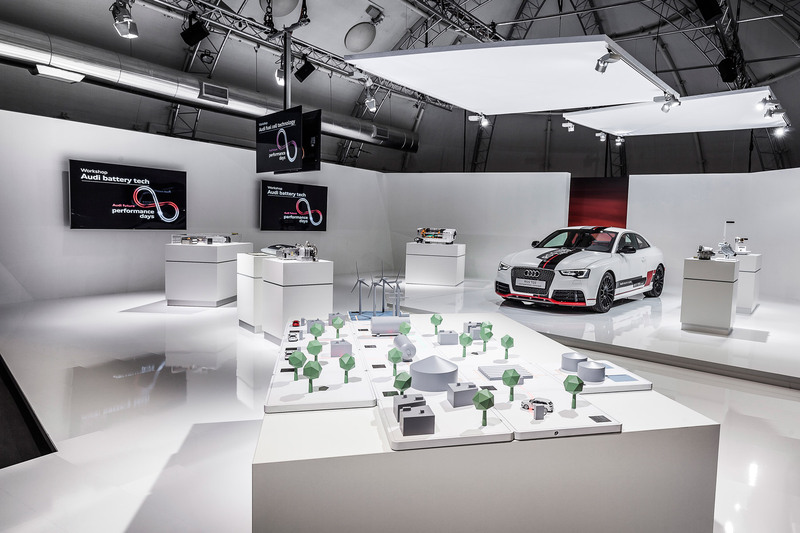 Over the last three years, Audi says, it has increased the capacity of prismatic cells by 50% – from 25 Ah to 37 Ah. That makes them more efficient and – over the same period – battery costs have also fallen dramatically. That means electric and hybrid vehicles are becoming an increasingly sensible proposition. One of the main reasons many of us are cautious about new technology is the concern that it just isn’t convenient. How many chargers are there? How long does it take? How far can I go? We’re used to being able to stop at a fuel station, fill up with petrol or diesel within a matter of minutes and not have to return for at least another 400 miles. But Audi is demonstrating ways that electric-powered cars could be even more convenient than the combustion-engined motors we’re used to. The next step, says Audi, is faster charging times. 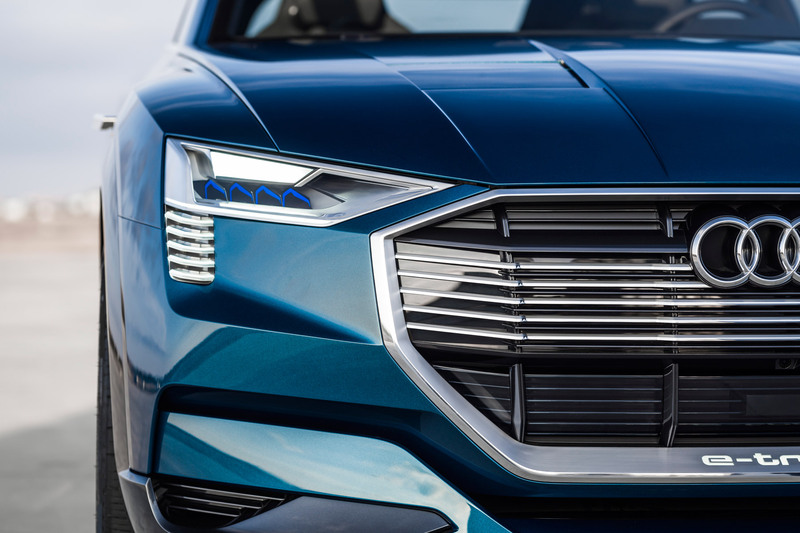 Using 150 kW direct current charging, due to be rolled out from 2017, Audi’s e-tron quattro concept would be able to charge its 95 kWh battery to 80% capacity in less than half an hour – providing a range of around 250 miles. A full charge, meanwhile, would take 50 minutes – and would provide enough power to cover more than 310 miles. When you think that you only have to charge your car for 50 minutes every 310 miles, it starts to make a little more sense. 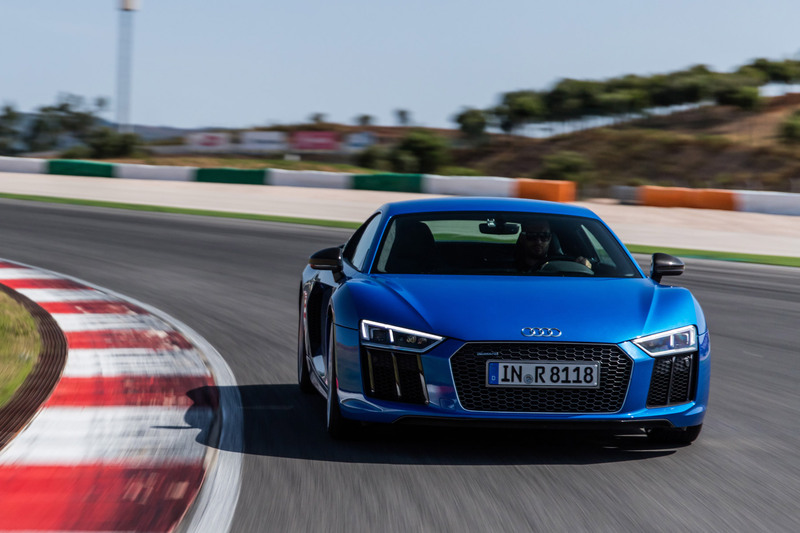 But Audi admits there are limitations – saying direct current charging is ‘virtually impossible’ in the private infrastructure due to the limited grid power. Essentially, you won’t be able to charge your car this quickly at home without the plug overheating. So what does it propose instead? 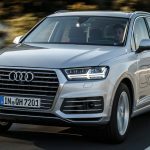 Within two years it’ll be launching Audi wireless charging (AWC). Here, the car charges directly from the grid using a floor charging plate. 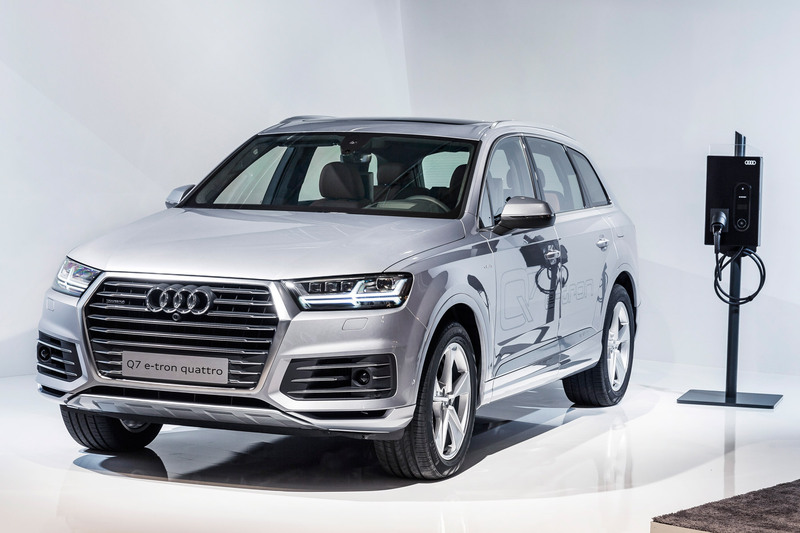 When you drive your Audi e-tron within a few metres of the electric charging plate, it will establish radio contact with the car and, with Audi’s piloted parking systems, will even be able to manoeuvre itself into place. Hydrogen-powered cars are tipped by many to be ‘the next thing’ in alternatively-fuelled vehicles. Audi has been developing them for years – we first saw the A2 H2 in 2004, and then followed the first- and second-generation fuel cell Q5s. Currently there are just four hydrogen fuelling stations in the UK – all of which are in the South East. 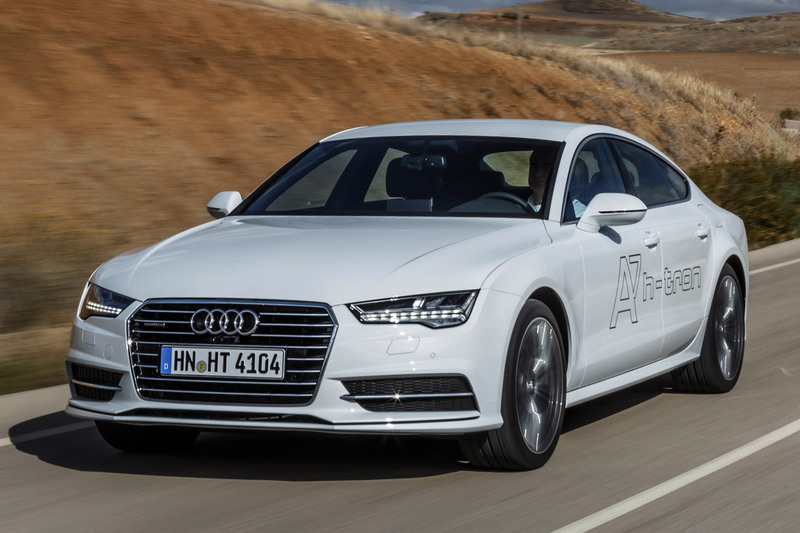 We took the A7 h-tron for a brief drive and found it to be eminently likeable. It’s almost silent – apart from a few whirring noises that would be abolished if it made it as a production car, engineers assured us. 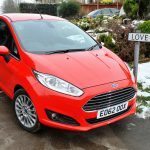 But it’s as easy to drive as a conventional car (if not easier), providing the levels of comfort you’d expect from a premium car without the noise and vibrations traditionally associated with turbodiesels. In fact, it seems almost production-ready. Engineers would tell us whether hydrogen is now a priority following the emissions scandal, but it does beg the question, why would they invest so much money into the development of fuel cell cars if they weren’t expecting them to go into production in the near future? Imagine if you could make your own diesel out of water and carbon dioxide, rather than relying on fossil fuels? That’s exactly what Audi is able to do – with its Dresden e-diesel production plant opening in 2014. Earlier this year, Germany’s federal minister for education and research, Johanna Wanka, put some of Audi’s synthetic diesel in her official car, a 3.0-litre diesel A8. The fuel uses CO2 provided by a biogas facility, as well as a portion extracted from the ambient air through direct air capturing. This reacts with hydrogen, extracted from water by means of high-temperature electrolysis. The result is a liquid known as ‘blue crude’, which is similar to fossil crude oil. It can then be turned into Audi’s e-diesel and can be mixed with regular diesel, or used as a fuel in its own right. 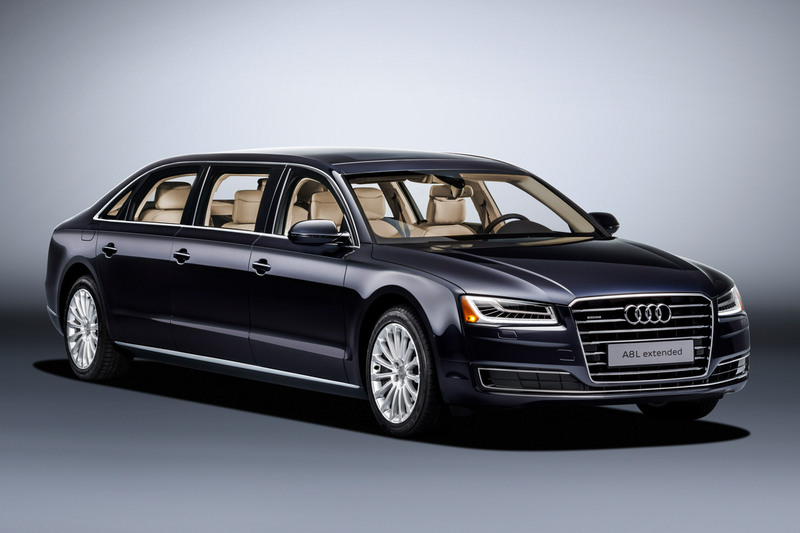 And it’s not just diesel that Audi’s creating. Its range of e-fuels, including e-gas, e-gasoline and e-ethanol all bind as much CO2 during production as they emit during combustion. E-gas is created at Audi’s plant in Werlte. It creates a synthetic methane gas from water and carbon dioxide, with the help of wind power. 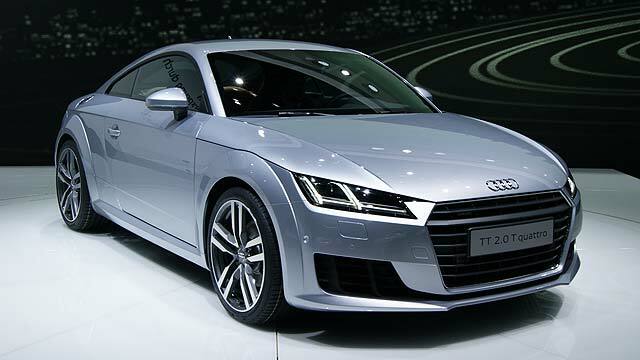 As part of the process, it creates hydrogen that can be used to power fuel-cell cars such as the Audi A7 h-tron. Manufacturers are getting increasingly clever when it comes to recuperating wasted energy. Most hybrid and electric vehicles, for example, will capture any energy being lost through braking and use it to charge up their batteries – meaning you don’t have to coast everywhere for it to be as efficient as possible. But how else can energy be recuperated? One area in which carmakers have largely failed to make energy gains is through the suspension. But Audi is working on a clever rotary damper system that captures the kinetic energy usually converted into (and lost through) heat when it absorbs bumps in the road. This system would work particularly well on the UK’s bumpy roads. Essentially, when you hit a pothole, that energy is being converted into fuel. 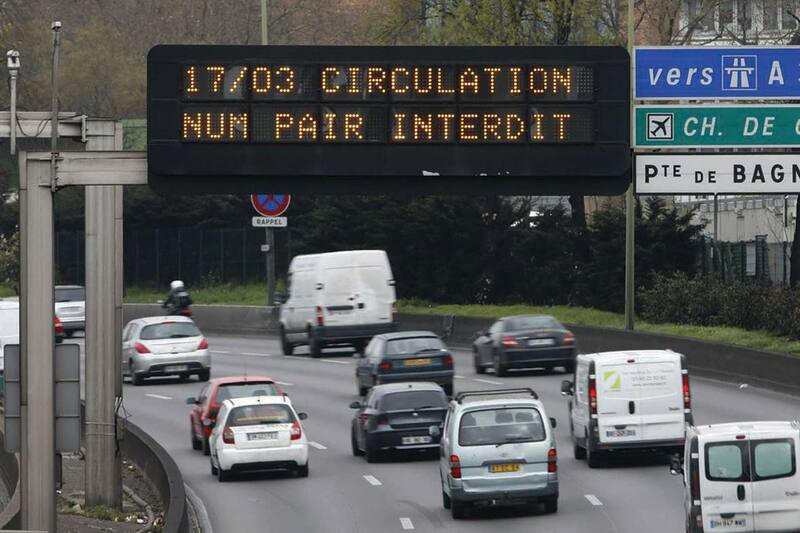 Clever or what? It’s no secret that batteries have a limited lifespan. The majority of us now own smartphones – and we all know that, after just a year, we have to charge them up more often. The same is true of the batteries used to power electric cars. 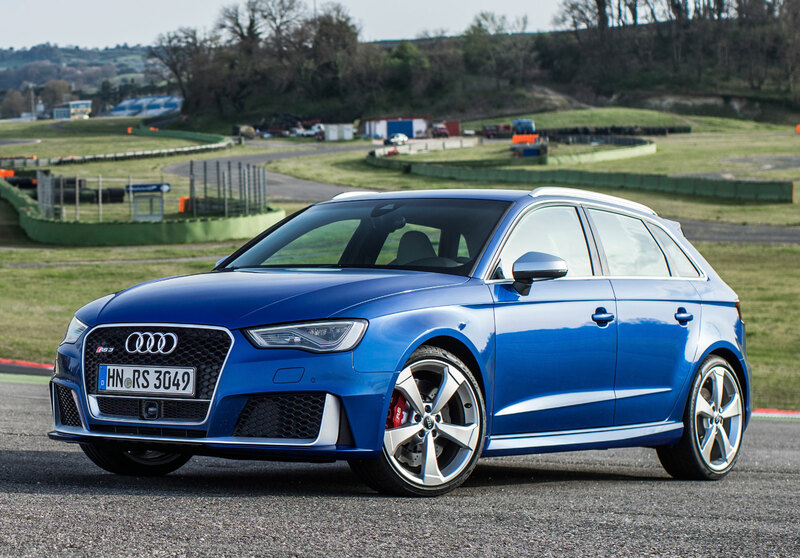 Audi designs these to last at least 90,000 miles or eight years, after which owners can replace them to enjoy the length of range their car was capable of when they bought it. Disposing of electric vehicle batteries responsibly represents a challenge. But, after this period, Audi says there is still a lot of life left in their batteries – and as such, it’d be a waste to simply chuck them away. Under the banner of ‘from road to grid’, Audi is working on a concept of converting old batteries into stationary energy stores. Essentially, used batteries will be piled up and used to store energy captured from the sun via solar panels. This power can then be pumped back into the grid when needed. 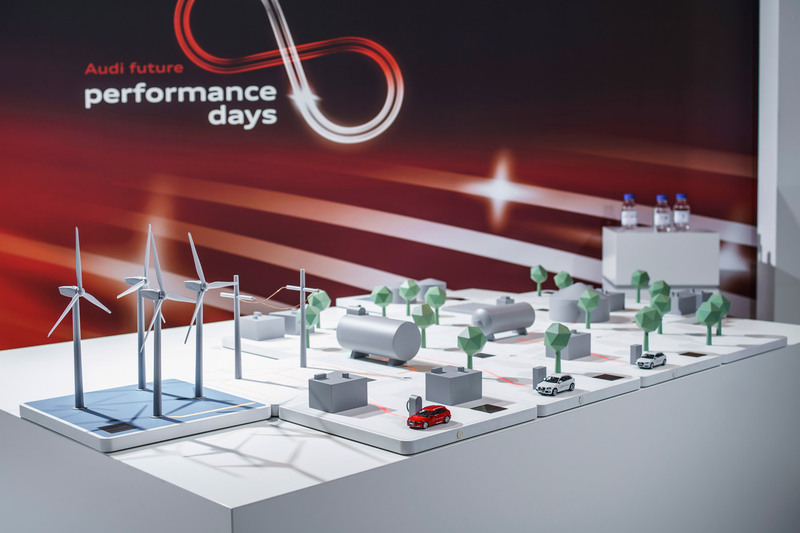 Although Audi’s trial setup near Ingolstadt uses solar panels, there’s no reason why the batteries couldn’t be used to store energy from various forms of renewable energy sources, such as wind turbines.